You can confirm and change the registered device details. display your telephone number the number may not be displayed depending on the model of phone. Select �connect audio player from�. 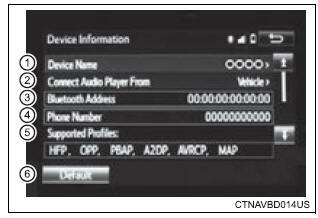 �Vehicle�: connect the audio system to the portable audio player.